A contemporary pearl bracelet of keshi Freshwater pearls, that shimmers with iridescence as it catches the light and is finished with a secure sterling silver clasp. Keshi, or keishi, means "poppy" in Japanese, as the small pretty pearls first found in saltwater Akoya oysters were thought to resemble the shape of poppy seeds. 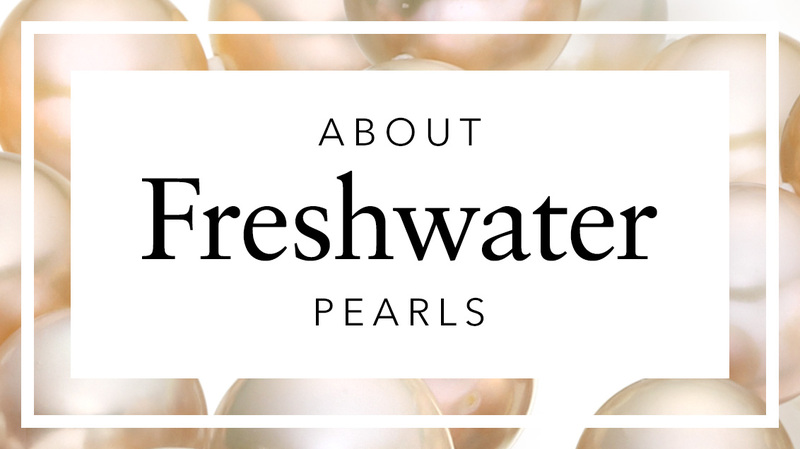 The term is widely used today to include cultured Freshwater pearls that are formed when a freshwater mussel is replaced in the water after a first harvest of pearls. 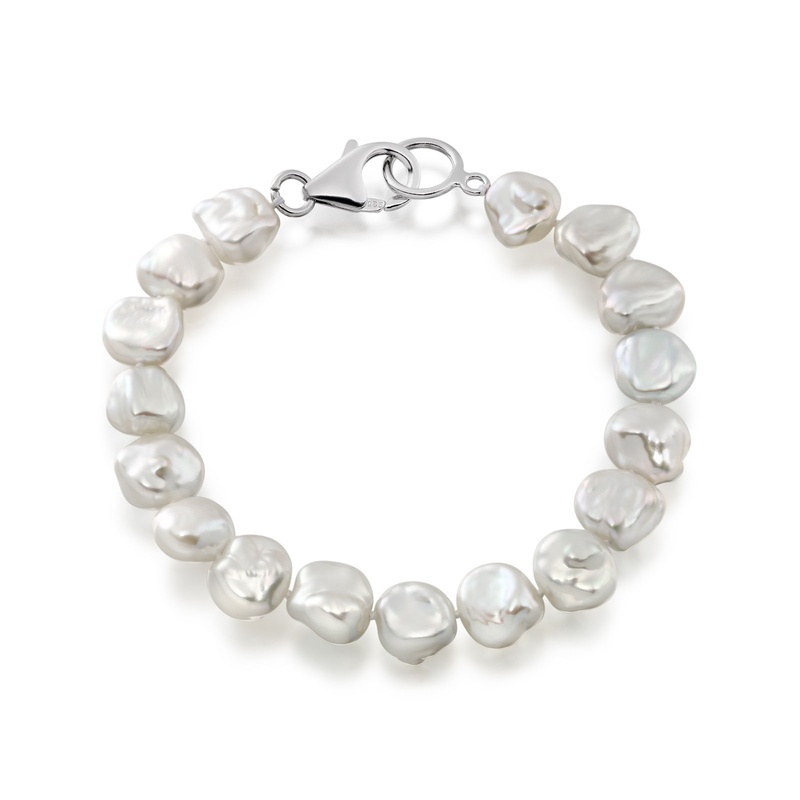 Each of these pearls has a unique baroque shape, which means that they are irregular and non-symmetrical. 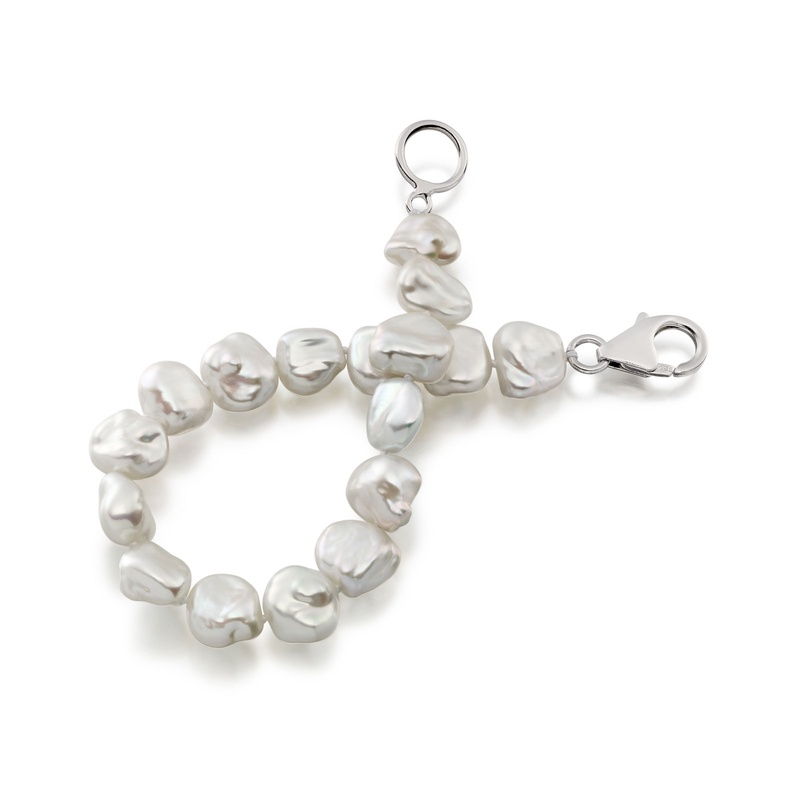 Individually the pearls measure 9.5-10.5mm in size and have a beautiful pearlescent shine. This bracelet is available with a matching necklace. Product : Product is exactly as advertised, the quality of materials and craftsmanship appear to be high. Reply That's fantastic to hear. Thank you for shopping with us and for taking the time to leave a review of your experience of our service and products. Please do let us know if we can help in any other way, now or in the future. First rate all round. Beautiful pearl bracelet just what I wanted and the gift box and wrapping paper wonderful. Thank you Wintersons for a brilliant online shopping experience. Service rating : Second to none. Product : My wife loved her Valentine day gift. Thanks. Reply Thank you for choosing our jewellery again and for leaving this special feedback on your wife's Valentine gift. Please do contact our Customer Care team if we can be of any further help in the future. Service rating : Great difficulties completing a purchase online resulting in numerous emails to customer services and calls to my bank, finally completed as a telephone transaction. Technical problems with Winterson's systems need to be addressed. Product : Quality product but would expect this at the price. Reply Thank you for your feedback regarding the difficulties you experienced last Monday. We apologise for the level of inconvenience that you encountered and are looking into why this happened. We will contact you this morning about the issue. Service rating : Excellent service end to end. Great website, fast safe delivery and excellent returns process. Product : Nice design and attractive gift box. A great looking gift!